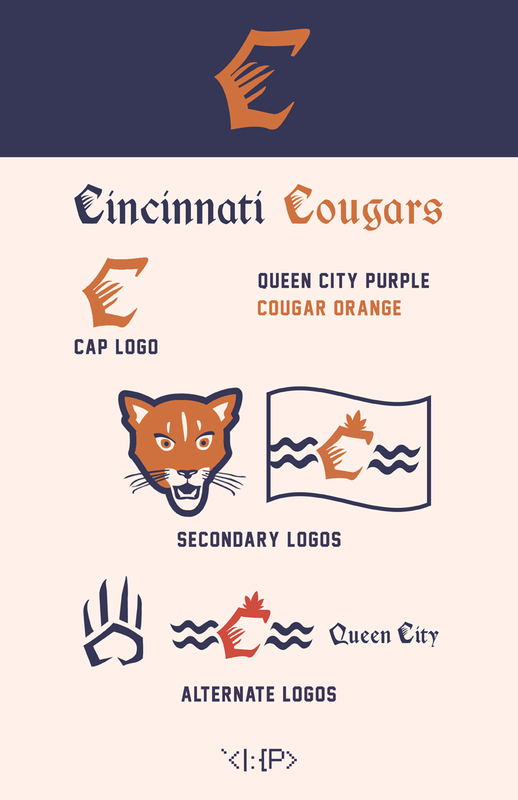 I created a fictional baseball team named the Cincinnati Cougars for a graphic design class. Here is that project. All of the logos are from scratch. 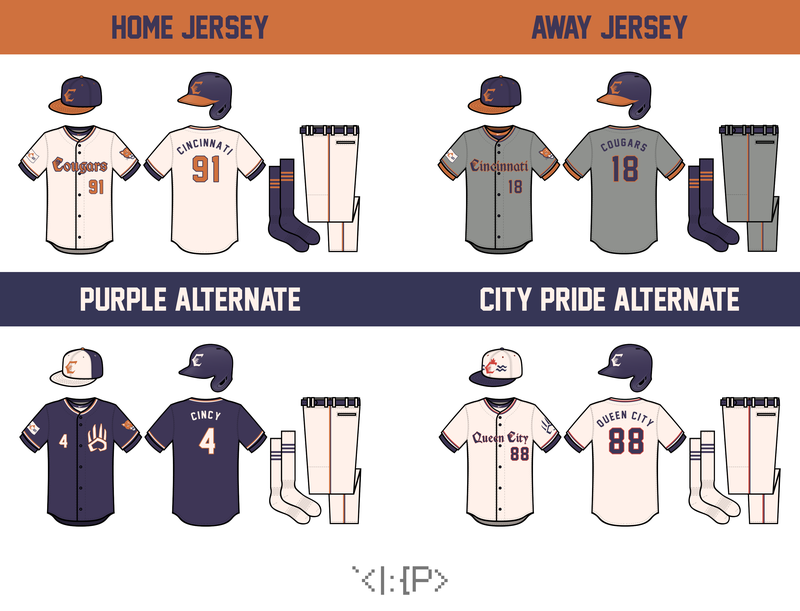 I wanted to play around a Detroit Tigers, retro-like style, as well as similar colors to FC Cincinnati. The team name font is Cimbrian, except for the C's and Q, which I made myself. The number & name font is Jersey M54.